Southwest Fare Sale. 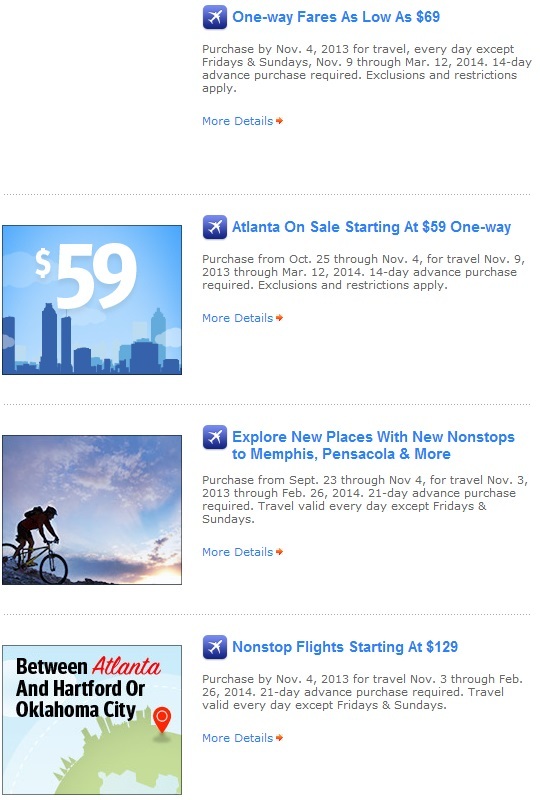 Good deals Fort Lauderdale to Atlanta, New Orleans, Austin, Buffalo, San Juan, Denver and more! Southwest has sales pretty much every week, but I found some good deals during this combination of 4 fare sales and I thought I would share. Fares have to be booked by November 4 and are good for travel all the way until March 14 so take a look if you have travel planned. The other great thing about this sale is the point prices drop as well (they don’t always drop along with the fares). If you get the Chase Sapphire Preferred card which has a 40,000 point sign on bonus, you can transfer some of those points to Southwest Rapid Rewards to redeem for this sale. Here are the sales that seemed like a decent deal to me, but I just searched for places where I might want to go so feel free to check the ones you are interested in. With prices this reasonable, you could take 4 of these trips with the 40,000 points from the Chase Sapphire Preferred! What are you waiting for? Let’s travel! Author John ButlerPosted on October 30, 2013 Categories Chase Sapphire Preferred, Chase Ultimate Rewards, Southwest Rapid RewardsLeave a comment on Southwest Fare Sale. 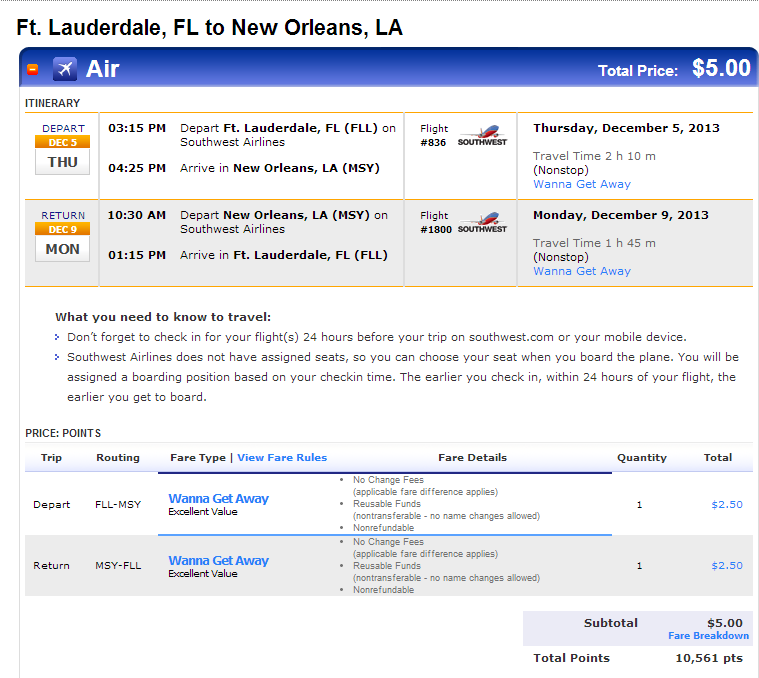 Good deals Fort Lauderdale to Atlanta, New Orleans, Austin, Buffalo, San Juan, Denver and more! Until October 10, 2013, Southwest has announced a distance based fare sale for travel from December 4-18 and January 7 through February 12. When Southwest has their distance based fare sales like they did back in June, they are often some of the best prices they offer if you are smart about your route choice. It looks like the current sale isn’t quite as nice as the one in June because while the prices have stayed the same, the distance bands have changed a bit to make a lot of routes bump up into the next bracket. 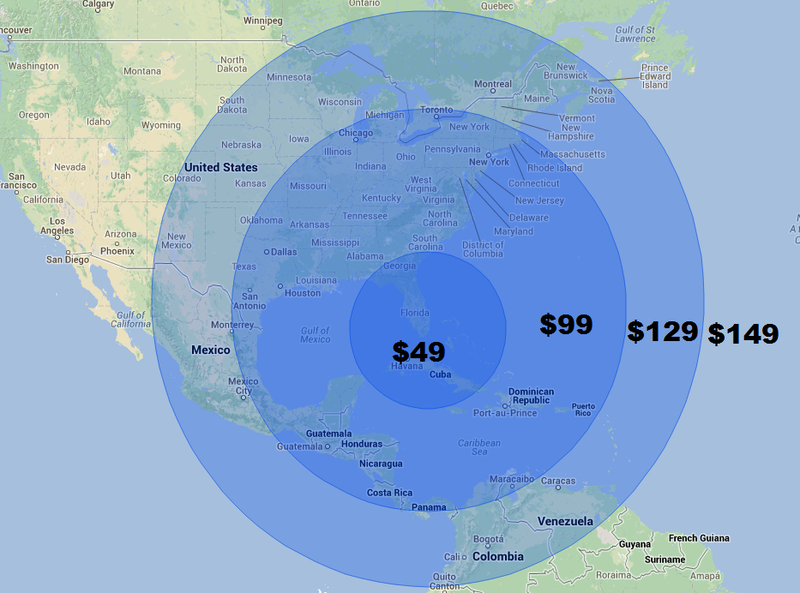 Here is a chart showing you where you could fly from Ft. Lauderdale for what price in points and cash. Another great thing about this type of sale is that it applies to both cash and points bookings. Southwest is one of my favorite ways to fly domestically due to two free checked bags and they allow you to cancel and rebook flights with no fees or penalties up until the day of travel. This lets you rebook if you have a drop in fares or a great sale comes up. An example of what you could do with this sale is a long weekend in New Orleans from Ft. Lauderdale for only 10,561 points and $5! You could also do it for $197 if you would rather pay cash, but I think this is a decent use of points getting you 1.8c a point. Southwest also currently has 4 different credit cards you can get all with a 50,000 point bonus. This bonus is enough for five of these New Orleans getaways. Two personal cards, the Chase Rapid Rewards Plus ($69 Annual Fee) and Chase Rapid Rewards Premier ($99 Annual Fee). Two business cards, the Chase Rapid Rewards Plus Business ($69 Annual Fee) and Chase Rapid Rewards Premier Business ($99 Annual Fee). These cards normally only appear for a limited time so if you want to get a bunch of Rapid Rewards points fast they are a great way! As always, feel free to comment on this post if you have any questions and don’t forget to Like us on Facebook and Follow us on Twitter! Author John ButlerPosted on October 9, 2013 Categories Southwest Rapid RewardsLeave a comment on Southwest Fare Sale! Southwest is having what will probably be their best sale for summer fares. If you have summer travel planned, it is probably worth booking now to lock in the low prices and then you can cancel and rebook if the prices happen to go lower with no penalties. If that happens, you will end up with a credit on Southwest for the difference in price. This is the best type of sale that Southwest has where the price is set by the distance you fly for a one way flight. Here is an example of how this sale works from Miami. If you are in the middle of the US it can work out even better! You can also use the sale prices for points redemptions which is great if you have a ton of SouthWest points like the 189,000 I got from shopping at Sears. I will probably be booking my flight back from Burning Man during this sale (for only 8200 points one way no less). 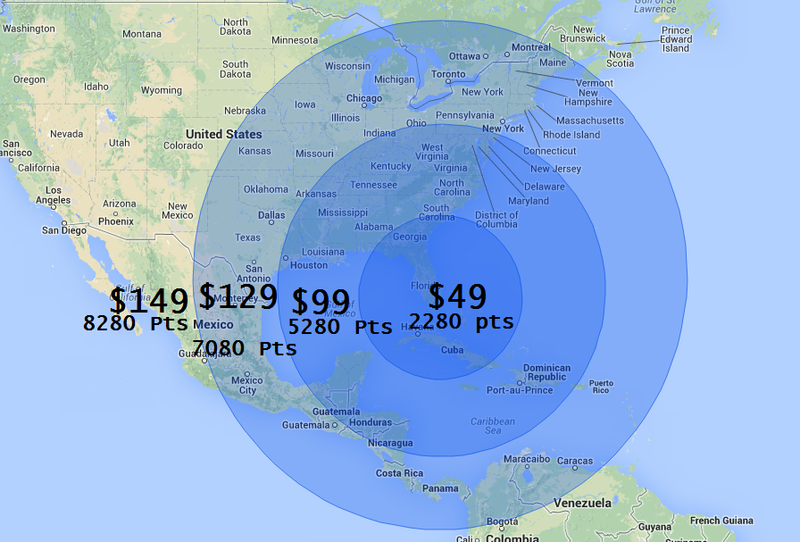 Here is what a round trip to Burning Man would look like using points and available seats. If you have summer travel planned within the US, think about booking now! This sale ends on Thursday but a lot of the cheaper fares can sell out so don’t hesitate too long. Some of the other airlines such as American and United are matching these fares so if you would rather put the miles on those carriers or have status, then check the routes and see if it is included. If you want to get some Rapid Rewards points quickly, then start with the Chase Sapphire Preferred card. It gives you 40,000 Ultimate Reward points after spending $3,000 in 3 months. You can transfer the UR points at a 1:1 ratio to Southwest Rapid Rewards points and then take advantage of this sale. Read our review of the Chase Sapphire Preferred card here. 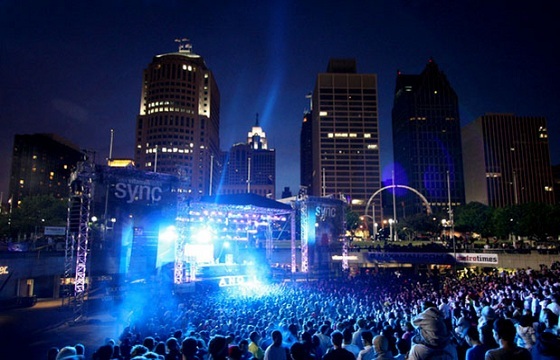 How I am going to Detroit Electronic Music Festival (DEMF) for $10! Back in February, I wrote about the air fare sale Southwest was having. 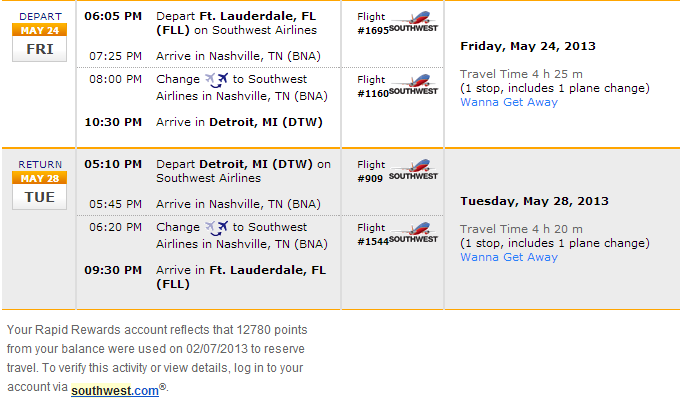 Since that sale applied to both points and cash fares, I decided to look for tickets to DEMF over Memorial Day. I think DEMF is the best techno music festival in the US each year and have gone the last two years and had a great time. I still have oodles of Southwest Rapid Reward points after my online shopping extravaganza. I found some great flights with only one stop for 12,780 rapid rewards points total! So with just a few clicks my seat was reserved for 12,780 points and $10 in airport security fees! Since Southwest doesn’t charge any change fees or cancellation fees there was no reason not to book my flight then and if the price in points dropped, I could simply make the changes and get the extra points back in my account. As of today, the exact same flights would be 13,500 points so a little bit higher but that is still an awesome value. Making a great deal even sweeter with the companion pass. To make this deal even sweeter, since I qualified for the companion pass last year by online shopping at Sears, I am able to add another person on the same flights with me for free! I do have to pay the airport security fees, but no additional cash or points. This means I can take a friend with me for only $10! But what if I have no Rapid Reward points? Let’s get some fast with credit card signups! You can start with the Rapid Rewards Visa that gives you 50,000 RR points after you spend $2000. Or since you can transfer Ultimate Rewards points to Southwest, get the awesome Chase Sapphire Preferred card with a 40,000 point bonus after you spend $3,000. Author John ButlerPosted on April 15, 2013 June 20, 2014 Categories Detroit Electronic Music Festival, How I Am, Southwest Rapid Rewards2 Comments on How I am going to Detroit Electronic Music Festival (DEMF) for $10! Southwest Double Points and also a fare sale! 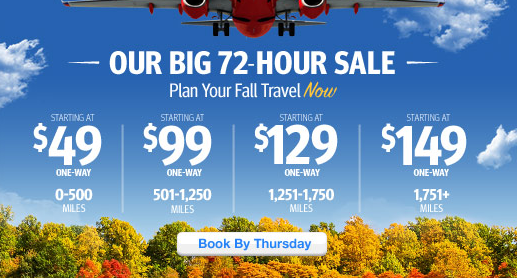 Southwest announced a few offers this week that you should take advantage of if you have travel planned. The first two offers are for double points on all routes and double tier qualifying points for all flights in or out of Milwaukee. Since both of these are free to sign up, you should take a quick 30 seconds and sign up for both of them now using the link provided. The other offer which can be combined with the double points promo is a fare sale that offers distance based pricing for travel through June 8. This offer applies for both cash and points bookings which is great if you have a lot of points like I do after the 189,000 points for shopping I did a while back or the 50,000 Point Southwest Visa offer. Southwest allows you to make changes to tickets with no fees and will even give you a credit back you can use for future flights if you have to cancel. This works particularly well with points because if you have points you are going to use, you can just book whenever you think you might have travel planned and then just cancel later if your plans changed and the points get redeposited to your Rapid Rewards account instantly with no fees or loss of points! This offer does end today so book quickly if you have travel planned. Some of the other airlines are also matching these fares so check your preferred airline as well if you don’t like Southwest for some reason. 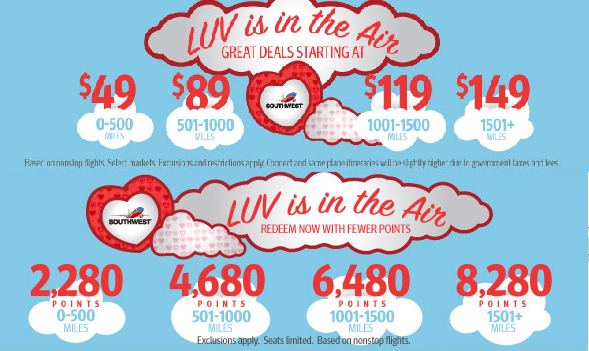 Author John ButlerPosted on February 7, 2013 February 7, 2013 Categories Southwest Rapid RewardsLeave a comment on Southwest Double Points and also a fare sale! Awesome Deal Alert! Today Only 1500 Rapid Rewards miles for sign up and also 40% off fares! Hey you! Pay attention! If you don’t have a Southwest Rapid Rewards account yet today is the day to sign up! 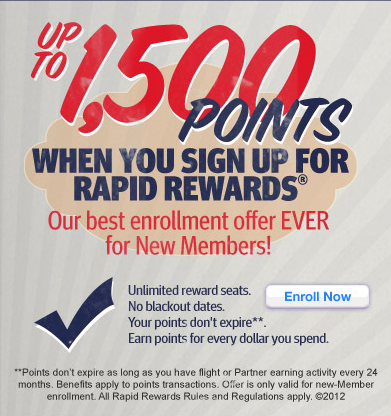 They are offering 1500 Rapid Rewards points for people who sign up today only. This is the biggest sign up offer they have ever had. It is completely free to sign up and you can use the points for $25 in free wanna get away fares at some future date up to 24 months! It only takes 5 minutes. Do it now if you don’t already have an account. Southwest is a no frills airline, but allows 2 checked bags for free and allows you to cancel with no fee and get back a credit for future travel if your plans change which is awesome. They are also having a 40% off wanna get away fares sale. The only trick is you have to travel on a Tuesday or Wednesday from 12/11/12 – 2/12/13 but it might work for some of your Christmas plans. If you already have a Southwest flight booked, check your flight to see if rebooking makes sense to save some $$. Author John ButlerPosted on November 16, 2012 November 18, 2012 Categories Southwest Rapid RewardsLeave a comment on Awesome Deal Alert! Today Only 1500 Rapid Rewards miles for sign up and also 40% off fares! I don’t normally post about fare sales unless it is a really good deal, and this offer is one! Southwest is having a fare sale for flights November 16-20, 22-23, 27-28, and December 14-20, and December 23- January 2. This offer is good for both cash and points bookings so I can use some of the 189,000 Southwest points I got a while back for shopping at Sears! I had coincidentally just looked at Southwest flights yesterday and the fares on the same dates are about half of what they were yesterday. A great deal! If you don’t mind flying in coach, Southwest has one of the best value propositions out there, with free baggage (1 carry on, 1 personal item, and 2 checked bags). Another great thing of southwest is no change fees! So you can book your flight now and if your needs change in the future or the fare drops even further, you can rebook it to capture the savings. If you paid cash, they will give you a credit for the difference in fare you can use in the future so you won’t actually get the cash back, but you will have the savings for a future trip. If you paid points though like me, they will put the points right back in your Rapid Rewards account! This sale lasts until November 1, but the inventory is limited for each flight so book now if you can to get in on those nonstop flights that make things so much more convenient around the holidays. Make sure to sign up for their Rapid Rewards program if you haven’t so you can earn points for any travel you book. Check out the fares at Southwest.com to get started and happy travelling. How I’m going to Get Lost LA and Burning Man for $12.50. One of the great things about acquiring points and miles is that you can plan last minute trips that would normally be too expensive otherwise. One of the top global parties every year is Burning Man which takes place in the middle of the desert in Nevada in the week leading up to each Labor Day. Imagine you and 50,000 of your closest friends coming for a week and creating a city of art, music and memories. The ideas of sustainability and “Leaving no Trace” are central to the festival and the idea is you take away whatever you bring so the desert (playa) is left exactly as it was when you found it. I have been wanting to go for many years and decided that this was my year! 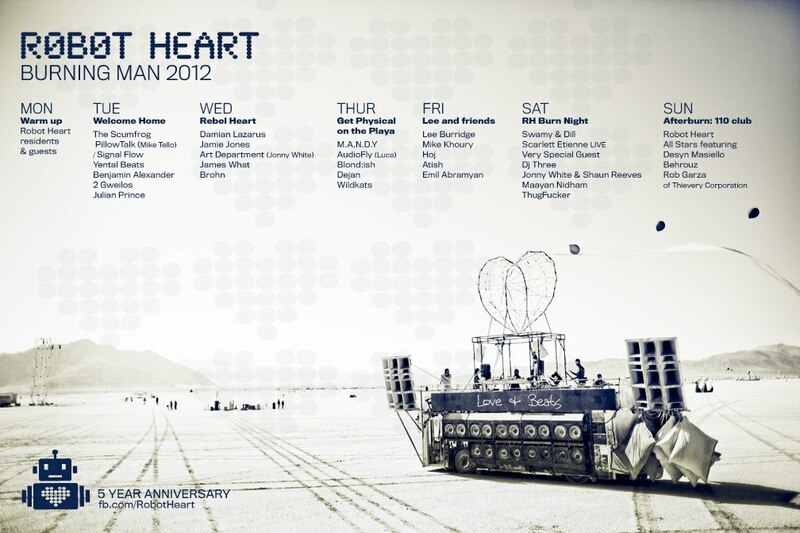 This is just the lineup from one of the many parties at burning man this year. Luck had it that immediately before Burning Man was another amazing party called Get Lost in Los Angeles. 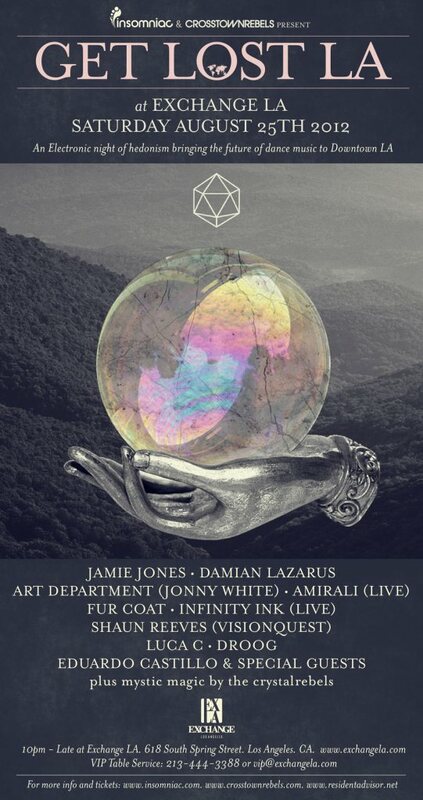 The Get Lost parties during Winter Music Conference in Miami are some of the most talked about every year and the music and artists are amazing. 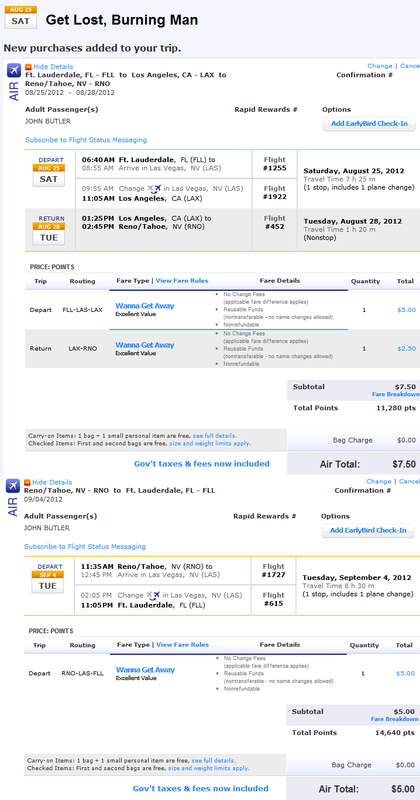 I decided to see if I could plan a trip to do both parties, first Get Lost in LA then Burning Man. If I could get a good deal on the plane tickets which is often the biggest hurdle for most people then I could get the experience of a lifetime on a small budget. Since I had oodles of Southwest Points that I got by buying and selling Sears merchandise, I wanted to see if I could use those to make it happen. When I looked around, I was surprised to see some really reasonable point values still available. Long story short this is what I was able to find. So for almost 26,000 points and $12.50 I had my tickets! Since Southwest uses a fixed ratio of 60 points per dollar for Wanna Get Away fares, this gave me a value of $433 for those points. I am staying with some friends in LA and at Burning Man so there will be some other expenses, but when you can get the flights for free, it makes it much easier to make the other ends meet. While that great Sears offer I took advantage previously isn’t available any more, what IS available is a 50,000 offer for the Chase Rapid Rewards card. Spending just 1000 in 3 months will get you the 50,000 points which is enough for 2 incredible trips (or more) like I just booked! I really don’t know why people pay for flights when it is so easy to get them for free. Get on board and join me traveling around this amazing world of ours! 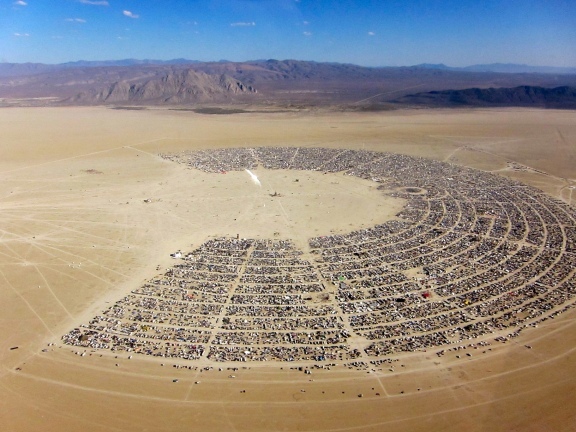 Author John ButlerPosted on August 17, 2012 June 20, 2014 Categories Burning Man, How I Am, Southwest Rapid RewardsLeave a comment on How I’m going to Get Lost LA and Burning Man for $12.50. 189,000 Southwest Points, a SouthWest Companion Pass, and 25,000 Ultimate Reward points from Sears Shopping. Well, the points I talked about in my previous post about Sears and SouthWest Rewards have posted and things turned out great. Sears security took a little long to verify my second gift card purchase so I wasn’t able to get quite as many points as projected, and ended up with some Ultimate Reward points instead of all SouthWest points. When it all was completed I ended up with 189,000 Southwest points, a Southwest Companion Pass and 25,000 Ultimate Reward points from my purchases along with over a million ShopYourWayRewards points since this promo happened to fall during my birthday month (lucky me!) and I am a platinum VIP member. I used 760,000 points worth ($760) to purchase two more Samsung Galaxy 2 tablets for resale which I combined with a Memorial Day coupon code I had gotten on a receipt for a pack of gum that gave a 25% SYWR points rebate for 2 days only. This gave me back 182,000 more ShopYourWayRewards points which I will use on a future purchase. I also received 5,000 SPG points, 4,000 Avios, and will get an extra 10,000 Avios when the promotion I mentioned in the other article closes on July 31st. Not too bad for sitting at home clicking buttons! Author John ButlerPosted on July 10, 2012 July 10, 2012 Categories British Airways Avios, Southwest Rapid Rewards, Starwood Preferred Guest5 Comments on 189,000 Southwest Points, a SouthWest Companion Pass, and 25,000 Ultimate Reward points from Sears Shopping. Over 200,000 points and a free Southwest companion pass? Sure, why not? The more you dig and get involved in the miles and points game, the more great opportunities present themselves. 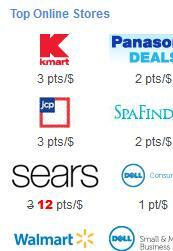 Yesterday, the Southwest Rapid Rewards Shopping Mall was having a promotion with Sears.com where they were giving 5 times the normal amount of Rapid Rewards points, or 15 points per dollar spent. Sears is one of the few merchants where they allow “Double Dipping” when means you can get points both on the purchase of gift cards as well as the use of gift cards. When you combine that technique with the promotion, you can go through the portal to buy gift cards, earning 15X points on your gift card amount, then go back through the shopping portal a second time, but this time using the gift cards you just bought and earning an additional 15X points. The amount the mall is currently offering has dropped to 12X but the process is the same. Add a $500 eGift card to your cart and check out using your miles earning credit card to pay. If it is merchandise that you need, then you are done. If you are buying for resale on eBay or craigslist, then sell your items. 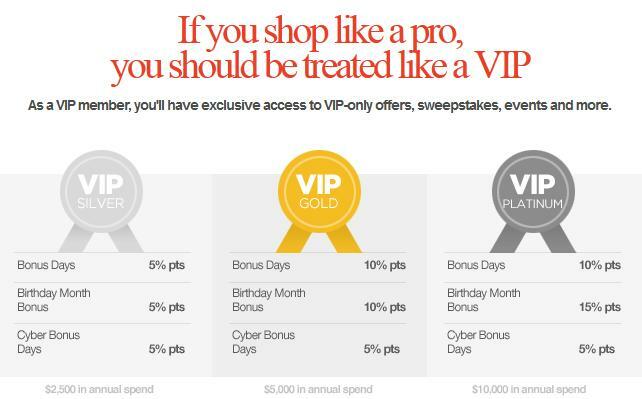 Using this technique (with the current 12X offer and the $500 example), you would end up with 6,000 Rapid Reward points for such a purchase plus whatever rewards you received from your credit card. Sears also has a free program called Shop Your Way Rewards that is a hidden gem in this whole process. Due to my previous purchases during promotions at Sears, I have Platinum status at SYWR and since it is my birthday month, I received 15X SYWR points which gets credited to my SYWR account and can be used for future Sears purchases. I also had received an offer last month on my British Airways Visa for 2.5 Avios per $1 spent up to $4,000, and used my SPG Business Amex card as well for an additional $5,000. So the math in my case (at 15X) works like this on this incredible offer. So a grand total of 10,000 Avios, 5,000 SPG Points, 270,000 Rapid Reward Points, and $1350 in credit towards a future Sears purchase. It isn’t all profit however, because there will still be costs associated with the resale of the electronics. I am anticipating around $1575 in loss on the electronics, possibly a bit more if I use ebay instead of Craigslist. However if I buy additional electronics for sale with the SYWR credit then I can cover almost all of the loss and end up with all the points for less than a couple of hundred out of pocket. And I haven’t even mentioned the best part! The Rapid Reward points I get from this should be enough to get the Southwest Companion Pass which lets you take a companion with you on any Southwest flight, whether paid or award, for the remainder of this year and all of next year. This is a rewards mall that I haven’t used before so I am not counting my miles before they post, but this looks like it might be my most lucrative miles venture so far. I hope some of you get in on it as well. Even at 12X and without the SYWR, it is still a great deal and a way to acquire miles for a very low cost per mile. Author John ButlerPosted on May 24, 2012 Categories Southwest Rapid RewardsLeave a comment on Over 200,000 points and a free Southwest companion pass? Sure, why not?